White Pine trail is gorgeous—it winds back and forth up an old mine road, through aspen forests, into old pine groves, and mountain meadows. Be sure you bring enough water, especially in summer—2 liters per person is the recommended amount. Dogs are not allowed in the canyon, since it’s a watershed. White Pine Lake’s trailhead shares a parking lot (and the first mile of trail) with Red Pine Lake Trail and Maybird Gulch Trail. 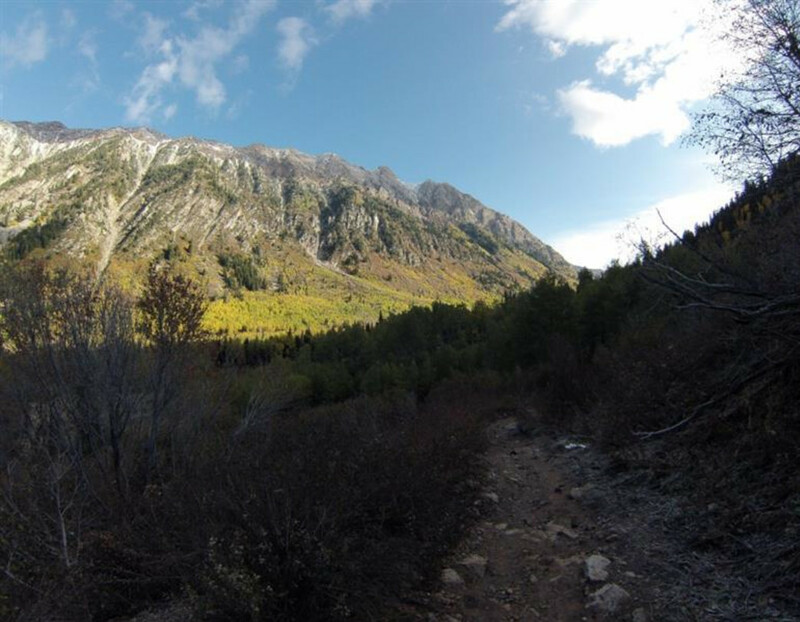 Located in Little Cottonwood Canyon, you’ll drive 5.5 miles up the canyon from the park-and-ride lot. As you pass Tanner Campground on your right (marked with brown national park signs), start looking for the White Pine-Red Pine sign, also on your right. If the lot is full, parking along the right shoulder of Little Cottonwood Road is fine. There are bathrooms and a map at the trailhead, but no water. 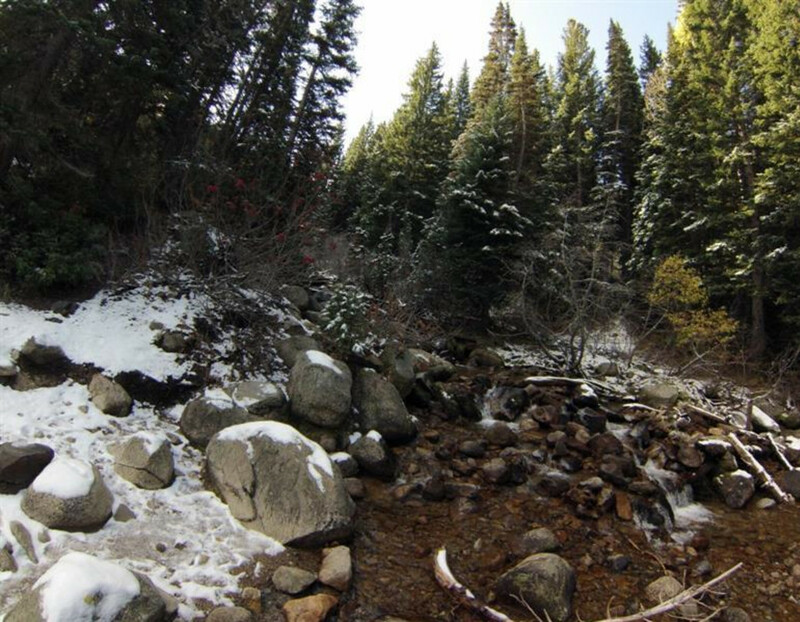 About a mile up the trail, you’ll come to a mountain stream that appears to dead-end the trail. Back to your left is a wooden trail marker pointing you up a narrow scramble to Red Pine and further left up a wide swath of old road to White Pine. 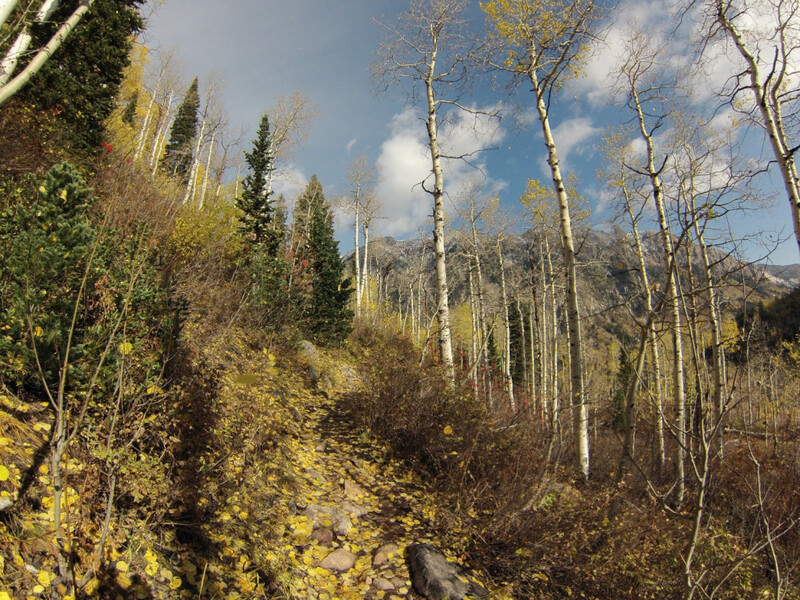 The canyon overlooks along the White Pine trail are amazing, especially in fall as the aspens are changing. As the switchbacks in the old road level out and you walk through the pine groves, keep an eye out for a wide meadow on your right. The view of the peaks of Red and White Baldy from that meadow is breathtaking; Red Baldy is the wide ridge to your left, and White Baldy is the high, domed peak directly in front of you. Also keep an eye out for bikes—no motorized vehicles are allowed on the trail, but mountain bikers like White Pine as much as hikers. The last half mile or so of the trail is quite steep up the ridge and down into the lake basin, which was formed by glacial movement. It’s always possible that there will be snow on the trail as early as October and sometimes all the way into mid-summer. Moose, deer, Uinta ground squirrels, lots of birds, and even rabbits and snakes are often seen on these trails. In summer, wildflowers are everywhere—carrying a guidebook is a great idea. Post-hike, you’re going to want to recharge with a good meal. 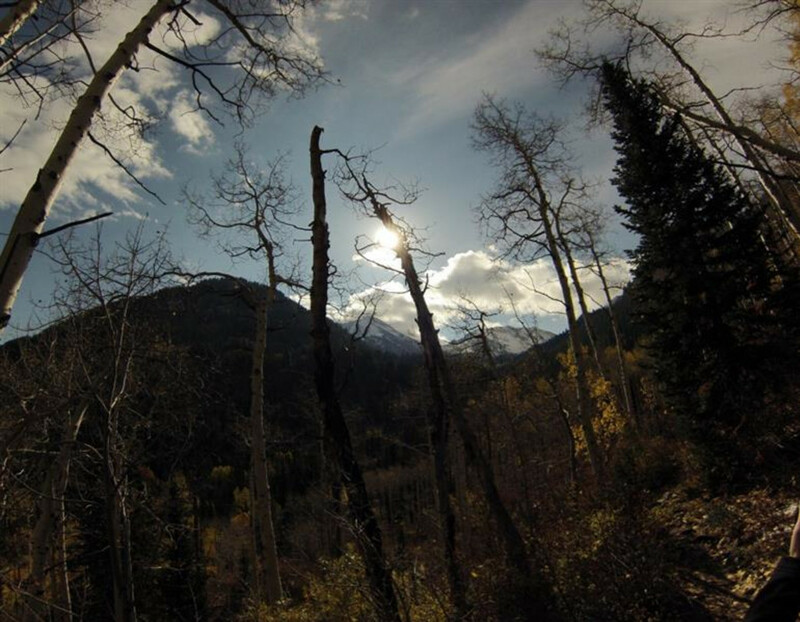 As you leave the canyon, take Wasatch Boulevard back to 215. As you merge onto I-80 West, look for exit 126 for 1300 E to Sugar House and make for Flatbread Neapolitan Pizzeria for the best wood-fired pizzas in Salt Lake City. They also have a good local beer menu, a nice selection of wines, and sinful desserts. Because the trail can be strenuous in places, you should be a relatively experienced hiker in decent cardiovascular health. The trailhead begins at 7,650 feet, and you’ll gain about 2,400 feet—White Pine Lake is at 10,000. At 9 miles in and back, the experienced hiker can manage it in 3.5 to 4 hours, while families should expect to take longer—about 6 hours. Be sure to have snacks for everyone and extra water.